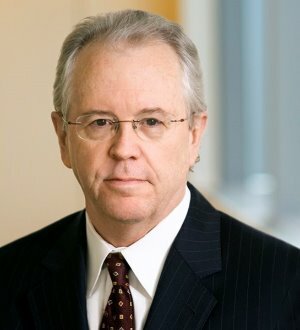 Edward P. Welch is head of Skadden’s Wilmington office. He concentrates on corporate and securities litigation, including the defense of class and derivative actions, with an emphasis on mergers and acquisitions. In the past three years, Mr. Welch has led teams that have defeated challenges to more than $200 billion in deals. He frequently has represented clients in administrative proceedings, usually in connection with mergers and acquisitions. In addition, he frequently provides Delaware general corporation law advice with respect to transactional matters. Yahoo! Inc. in shareholder lawsuits relating to Yahoo!’s rejection of Microsoft Corporation’s unsolicited $44.6 billion takeover. the special committee of SportsLine.com, Inc. in a litigation brought by SportsLine shareholders in connection with a controlling stockholder’s going-private acquisition of SportsLine. Mr. Welch repeatedly has been selected for inclusion in Chambers USA: America’s Leading Lawyers for Business, The International Who’s Who of Corporate Governance Lawyers and The Best Lawyers in America, and he has been named as one of the 500 leading lawyers in the country by Lawdragon Magazine.